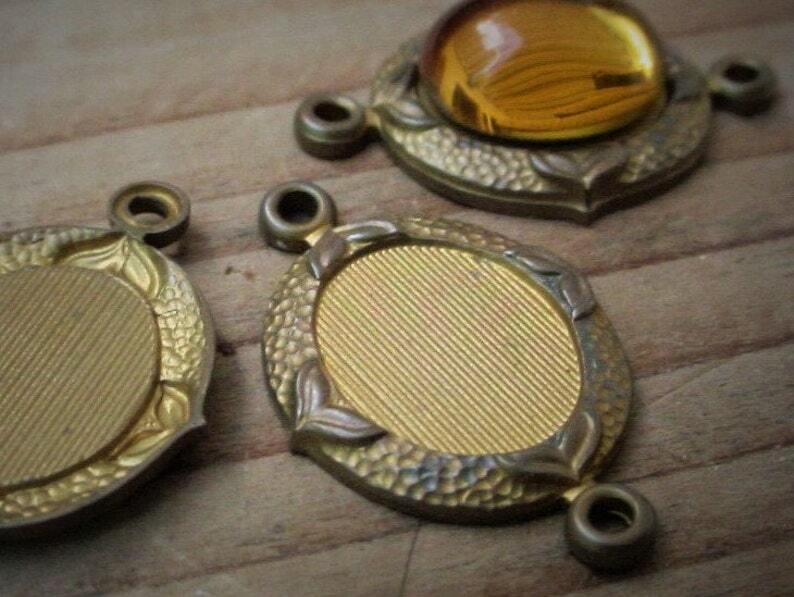 These old settings are high quality genuine brass. You receive 3 settings and 3 stones. Very unique vintage settings with lovely victorian textured design. Your pieces will be randomly drawn from my stock. As is typical with natural patina, the patina will vary from piece to piece and may not be fully developed throughout the entire piece. The photos show typical range of the patina. Some may be a bit darker, some a bit lighter. Genuine old brass in excellent, never used condition. Solid brass, naturally nickel and lead free.